Reduce Your Risk and Get Paid Sooner. Now you can start accepting checks like credit cards! 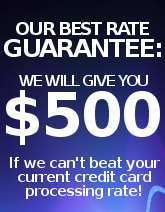 Guaranteed and deposited into your account within 24 hours. No more worrying about returned checks. With our electronic check transfer system, money is automatically debited at the time of purchase. The money is then transfered from the clients account to yours within 24 hours. Best of all, you never have to physically deposit the check.